Greece is famous in history of world. It is famous for its ancient history and most of the interesting places to visit. Every year, tourists come to visit Greece and enjoy their foods, monuments and islands, but nobody knows the interesting facts of Greece which make it popular in the history of world. Here in this post I am sharing the top 10 amazing facts about Greece. These all facts will definitely shock you that the Greece has more interesting reasons instead of foods, islands and monument stories. So, let’s check out this post and know about the interesting and amazing facts about your favorite holiday destination Greece below. Greece is famous for its beauty. The modern Greece is the main and the center part of Ancient Greek Civilization. It covers southern Italy and the coastal areas of Turkey. It also covers Black Sea and different colonies of Spain, Africa and France. In fact, Modern Greece is same as the size of Alabama of Unites States. As we all know that the Olympic has started in Greece in 776 BC. It was played in only one event but now it has totally changes. The Olympics in Greece, now a day include multitude. Almost Thousands of people come to watch the game and the main stadium of Greece has a capacity of 45,000 people. The highest point of Greece named mount Olympus is known to be as the home of Gods and Goddesses. It is the highest mountain with height of 9,750 feet. People who visit Greece must climbing the mountain and reach the height of Mytikas peak. The world has many island and coastlines but the Greece has mountains and hills. Greece is famous for its varieties of wildlife. The plenty of species like fox, bear, white goat, deer and elk live in Greece. You will also see the mammals and amphibians. There are many reptiles are also living and few snakes are also the part of Greece. Greece is the historical country that gives you a learning experience. 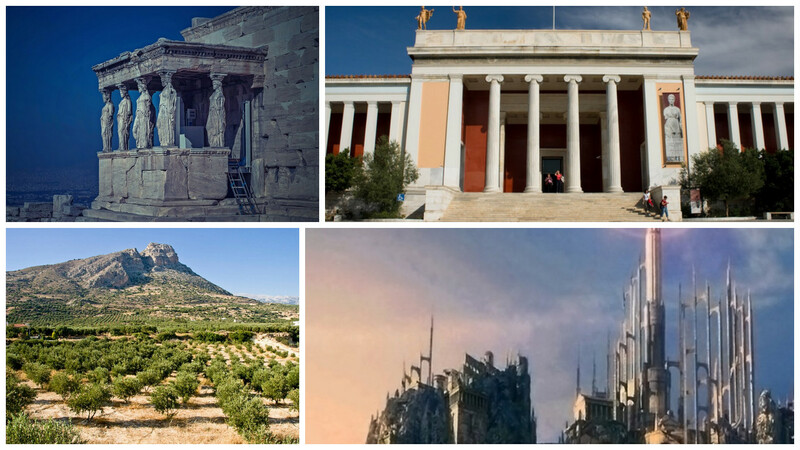 Greece has more than 100 archeological museums in which you will find the compete history of ancient of Greece. You will find many museums dedicated to specific themes of painting and theatrical arts. You can visit the museum dedicated to Byzantine Empire and also science and technology. Greece is the country having countless islands. The recent research says that it has about 1200 to 6000 islands but166 to 277 islands are only inhabited. The most popular and largest island of Greece is Crete which is located at the Aegean Sea. Each and every island is slightly different to another with full of unique and appealing views. Greece is famous as the third largest producer of olive trees in the whole world. They have been planted olive trees since their ancient times and still planting as a big business. There are around 120,000,000 olive trees in the Greece and even some are still producing olives since 13th century. According to the mythology of Greeks, the first king Cecrops wanted the patron deity for the Athens and the two gods of Greek Poseidon and Athena were interested for this. Poseidon offered the water for Athens but the water was salty and not eligible for population. Athens offers the olive trees for a symbol of peace which impressed the king very much. So, the king gave her name to the city after her as an honor. Parthenon is the greatest monument in the world. This was built to give honor to Goddess Athena. This temple is very old and you also read about it in high school. It was a temple but converted into a church in 5th century. The capital of Greece, Athens is the world’s most famous and oldest city in the world. It was the first inhabitant city also. IT is a mixture of old and new history which attract the tourists very much. These were the top 10 amazing facts about Greece. You have learned about Greece and may be visited Greece but you didn’t know these amazing and interesting facts about before.